Dr Bob Gill (@DrBobGill) explains the unreported and sinister drive behind the push for changing junior doctors’ contracts. The latest assault on the NHS involves the imposition of a new contract for junior doctors that will see their salaries slashed by 30% with a requirement for evening and Saturday work. The excuse used to justify this change is to provide a seven-day service and improve patient outcomes on weekends. The reality is that more qualified staff are being driven out in preparation for the de-skilling that is always part of healthcare privatisation and corporate takeover. For the UK, this is mapped out in the Five Year Forward View by Simon Stevens, the head of NHS England. Stevens used to be an executive of the US based private health care company, UnitedHealth. Many junior medics - which means all doctors not yet senior enough to work in consultant positions - have been stirred into action, but it is crucial for them to understand the context of their current predicament to mount an effective campaign to protect patients, restore decent treatment of staff and block the completion of the privatisation of the NHS. Conversion from the NHS model, a publicly funded, provided and universal system, to a private insurance model has been proposed for decades. In 1968 Arthur Seldon, later Margaret Thatcher’s privatisation policy adviser, produced a pamphlet for the Institute of Economic Affairs called After the NHS, explaining the aspiration to “improve the NHS” by abolishing it so as to build profit opportunities insurance industry. Further incarnations of this same plan to enable the insurance industry to increase its profits in the UK by destroying the NHS surfaced in the 1980s. 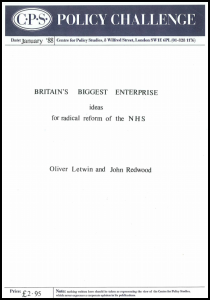 This included Health of Nations by the Adam Smith Institute and, in 1988, Britain’s Biggest Enterprise: Ideas for Radical Reform of the NHS, a version articulated by current Conservative Minister of State for Government Policy, Oliver Letwin MP in the NHS privatisation manifesto he wrote with John Redwood MP, published by the Centre for Policy Studies, a Thatcherite think-tank. The stealth privatisation of the NHS had quietly begun under the Thatcher administration and has continued unabated ever since. The sole attempt to bring the plan out of the shadows, its presentation to a Conservative cabinet in 1983, was so roundly rejected that the decision was taken to complete the privatisation by covert means, under a series of false narratives to distract the public from what was really going on. 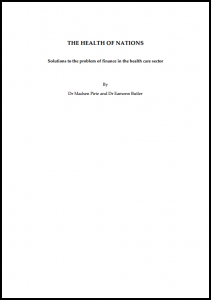 From outsourcing of non-clinical services, introduction of market bureaucracy, splitting up of the hospital network into independent Trusts and the usurious Private Finance Initiative (PFI) scheme for creating an opportunity to gouge the public purse through inflating the costs of funding new hospital building. PFI started on John Major’s watch and continued under Tony Blair and Gordon Brown. 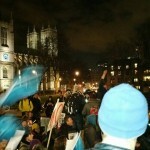 Blair’s New Labour government continued with the privatisation project, while maintaining the deceptions contained within successive pointless top-down reorganisations which actually took the NHS further down the privatisation road, precisely following the steps laid out in the Health of Nations NHS privatisation plan. Why the hell didn’t we know about this? Consecutive governments have diligently obscured the intent of health reforms with spin and misdirection, while senior NHS positions were often filled by those who would not be likely to point out these lies to their medical colleagues and the public. The success of the project depended on public ignorance and distracting attention with myth creation. The propaganda agents include large sections of the media in particular the BBC. Our public service broadcaster has avoided scrutinising health reforms and instead simply regurgitates government spin, peddles myths and presents pro-privatisation think tanks as if they were independent. Growing public and professional protest has been conveniently ignored. It is censorship by omission. The British Medical Association has spent the last two decades gently nodding through marketisation and privatisation under the guise of ‘critical engagement’. They have provided no effective challenge to government policy, and kept members in the dark to a degree that could suggest complicity at leadership level. Genuine opposition by BMA leaders to the Health and Social Care Act 2012 could have prevented the NHS being carved up for profiteers for example. What state is the NHS in now? The NHS has been fundamentally transformed in the last 20 years. Our nationally integrated hospital network has been split up into distinct business units (“foundation trusts”), which were deliberately burdened with PFI millstones which would throw them into insolvency as soon as a funding squeeze was applied to trigger this at the right time for privatisation. Since 2013, health services have been funded through clinical commissioning groups (CCGs). These were designed by John Redwood MP to be self-collapsing, state-funded insurance pools. Though many CCG boards are fronted by GPs, the commissioning decisions they take are ultimately shaped by a set of rules which incentivise outsourcing to private healthcare companies with administrative support provided by yet more private companies. CCGs were designed as transitional bodies to be taken over by private insurers, accountancy firms and management consultants, an army of unnecessary intermediaries siphoning away taxpayers’ money from delivery of healthcare. 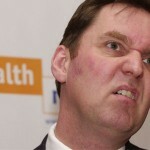 GPs have been set up to be the scapegoats for the demise of the NHS. To change the NHS from a health service to a business, the traditional medical leadership had to be replaced with a general management structure. Hospitals and health boards across the country had their small, clinically dominated, patient-focused members replaced by a leadership that is less inclined and equipped to protest about damaging patient services and quality of care. Introduction of the internal market in which NHS services can be farmed out to the private sector, the setting of targets and forcing inflexible or unsuitable-for-hospitals performance management standards led to an explosion in number of administrators and managers required to implement these reforms. Despite the public being sold a narrative about saving money, the changes have made the NHS more bureaucratic and expensive than ever, but none of that money is being spent on patient care. 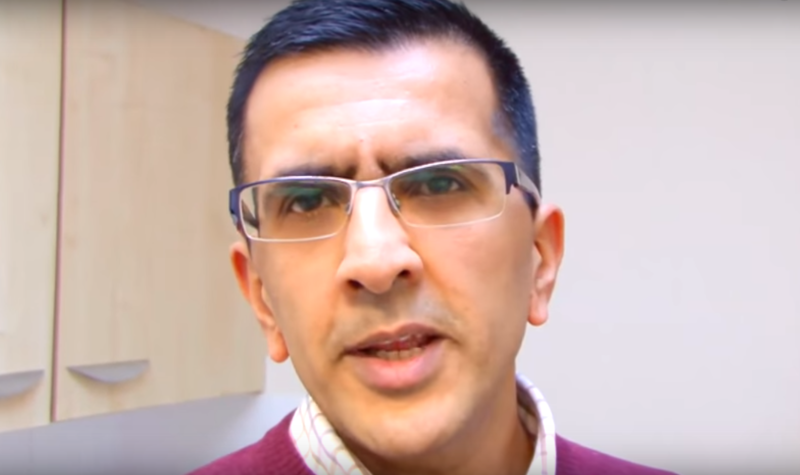 The purchaser-provider divide-and-rule manoeuvre pits GPs against hospital doctors, handing GPs the axe to take to hospital services, contrary to the interests of patients - and in the face of opposition from hospital colleagues. As a result, the line between the public and private sector in the NHS is blurred. The changes to the NHS provided the infrastructure for siphoning money away from the delivery of care to patients. This bloated administrative structure imposed government policy irrespective of outcome for patients and it has been going on for a while now. The most infamous example of this was at Mid Staffordshire NHS Trust. Priority was given to meeting financial performance targets to qualify for Foundation Trust status instead of ensuring adequate staff levels to run the hospital safely. Spin-meisters have carefully crafted messages for officials and politicians to redirect responsibility away from management and government policy failings. Instead, hospital staff are blamed for lacking compassion or commitment. A culture of fear and intimidation for those who dare speak out about preventable patient harm has been exposed repeatedly over recent years. The perpetrators escape sanction and many are promoted in contrast this with the career destruction and psychological torment for the whistleblowers. Public money is also wasted on cover-ups of malpractice linked to the privatising leadership clique in hospitals. Some whistle-blowers are banned from coming into work, and this costs money. Dr Kim Holt told her superiors of the risks that later led to the death of Baby P, and their reaction was to send her home from work and hire locums to do her job, at a cost to the public purse of around £1 million. The NHS has lost more than 50% of acute beds since 1979 leaving us with some of the most meagre hospital provision in Europe. The UK has just 2.8 beds per 1000 population compared to 6.3 and 8.3 for France and Germany respectively. It is all a big false economy. Doctors have to discharge patients prematurely to make space for sicker patients, but that can hamper recovery, or worse. Outpatient clinic appointments are also being cut, and the marketised system prevents patients being referred directly between specialists without first being sent back to their GPs who has to make the referral. These frustrating, inefficient additional bureaucratic hurdles have been created to suit the marketised NHS, not patient nor doctor. The costs for administration for the NHS have increased from 5% of the total budget before the privatisation process started in the 1970s to 14% by 2005, amounting to more than £10 billion per year additional cost without patient benefit. And the American system to which the government aspires spent 31% on administration by 2003. The cost of repayment of £11 billion in PFI loans will exceed £80 billion. 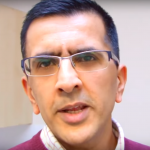 Doctors agonise over patients being denied a bed or other essential care, whilst extortionate sums of money are squandered on market administration, outsourcing and PFI payments. A significant minority of doctors have assisted in betraying the public and their colleagues. They are motivated by self-interest, realised through promotion, performance-related pay and bonuses. They have been busy downplaying and distracting from others’ concerns over privatisation; and this in turn is an attempt to make the BMA less effective at representing doctors. When the complicit doctors collude with management and politicians in promoting hospital cuts and closures, patients’ lives are endangered. We have doctors who are now paid advocates for reconfigurations of NHS services expensively concocted by management consultants and accountancy firms whose glaring conflicts of interest largely go unmentioned. This is so far from the idealised vision most would have had of being a doctor in a civilised, open, accountable democracy. Working in the NHS has been transformed from feeling like part of a large family working for the common good to resembling a totalitarian state where survival is dependent on wilful blindness to all that fails our patients and colleagues. No wonder more than two-thirds of NHS employees are seriously considering leaving. What does the future hold for the NHS? The blueprint for the final stage of the NHS privatisation and conversion to a private insurance system is to be found in ex-UnitedHealth Vice-President and current NHS England Chief Simon Stevens’ Five Year Forward View. Proposals that will profoundly alter the NHS in favour of his former employer have largely escaped public exposure and scrutiny. Like many policy documents before it, the true intent is coded within harmless-sounding text. There is no mention of privatisation, competition, market or the growing role of commercial insurance in the NHS. Instead we see code words like ‘innovation’, ‘choice’, ‘modernisation’, ‘integration’, ‘partnership’ and ‘prime contracting’. 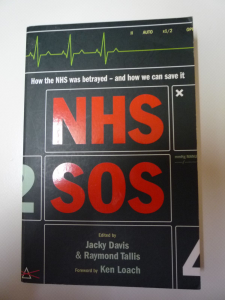 The introduction claims a strong commitment to the NHS and then goes on to promote its carve-up. The proposals will replace the last vestiges of the NHS with ‘New Models of Care’ (NMC) which reformat the internal structure of the NHS. The reforms will make it less flexible, with more costly arrangements which better suit the commercial insurers destined to take over the system. A further £20 billion shortfall in funding is celebrated as ‘efficiency savings’. This masterpiece in spin and deception hides the reality of further hospital closures, GP surgery closures, staff reductions, pay cuts and reduction in qualified staff. Patients’ medical needs will be met by non-existent community services. The same con trick was pulled off with mental health services under the ‘care in the community’ narrative in the 1990s. Publicly owned psychiatric institutions were shut down and flogged off with insufficient replacement services to support patients. Access to non-profitable, competent life-saving emergency care will be drastically reduced. Junior doctors’ loss of income and increased hours performing routine work in previously defined unsocial hours will increase profitability for the new players who will be providing healthcare by sweating the assets. The ‘modern workforce’ created through the ‘Shape of Training Review’ for medical students and ‘Shape of Caring review’ for nurses and creation of ‘transitional roles’ is designed to produce a cheaper and quicker to train, less qualified workforce. We are told that they will be performing new roles ‘across organisational and sector boundaries’ - this arguably means staff members doing things they aren’t qualified to do. This represents a wholescale de-skilling of the workforce with nurses and Physicians Assistants doing doctors work, health care assistants doing nurses work and volunteers doing Healthcare Assistants’ (HCA) work. No qualifications whatsoever are needed to enter an NHS hospital as a paid HCA, to do work formerly reserved for qualified nurses. We are starting to be softened up for the ‘HealthForce’ of volunteers. We won’t even be paying the unskilled people we get to do nurses jobs! This is about to start becoming really dangerous for patients. And this is happening just as the monitoring of NHS performance is in the process of being privatised. This provides the essential cloak of commercial confidentiality and exemption from the Freedom of Information Act. Private companies are not subject to FOI requests. This is one of the biggest reasons to fear the march towards a fully privatised health service. The prospect of a 30% reduction in pay through restriction of unsocial hours payment and increased working week has been the prompt for protest and a potential spark for a brain drain with thousands preparing documentation to emigrate. Leaving the NHS for pastures new is an entirely justified response but will do nothing to defend the NHS for the relatives and friends left behind who may need to rely on it for care. Those that leave now in the hope of coming back later when the dust has settled may find that the NHS has dwindled to a threadbare remnant in their absence, and the country will be a worse place for it. We are collectively faced with one of the greatest political betrayal of the public interest in destroying the best healthcare system in the industrialised world and replacing with a model resembling the worst. Medics are highly trusted by the public and could prove a powerful voice against Stevens, Hunt and Letwin. NHS activists have been desperately hoping more medical leaders joined their ranks and help break the silence and contributing to defending the NHS. No doubt the stakes are high as serious consideration has to be given to personal and professional damage. Pressure may come from employers and unexpected quarters to stay in the shadows. It is crucial to understand the scale of the privatisation industry and their broad influence over our politics and media, and the fact that they are now presiding over the discontinuation of the welfare state. They are well-funded and cunning, but they are lying. We must educate ourselves and the wider public on the truth of the threat to the NHS to mount a defence. 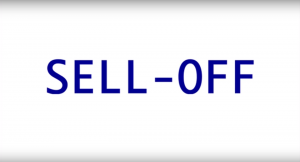 The documentary ‘Sell-Off’ gives a summary of what has happened in England. Michael Moore’s ‘Sicko’ film exposes how the American system fails private healthcare insurance policy holders. The privatisation project is well-planned and effective. In the UK, it was essential to have New Labour as a controlled opposition to then carry the privatisation baton between 1997 and 2010. Since back in opposition, Labour has provided tokenistic resistance and diverting genuine grassroots activism whilst simultaneously promoting the massive corporate power grab in the form of the Transatlantic Trade and Investment Partnership. Junior doctors have overwhelming public support for industrial action but they must be vigilant to avoid being impeded in their struggle by hidden traps. With vast sums of money up for grabs, the privatisation lobby will stop at nothing to permanently and irreversibly break open the NHS for exploitation and profiteering at the expense of patients, staff and the taxpayer. It is essential that techniques successfully deployed by the health insurance industry in America for decades to neutralise attempts to improve healthcare for Americans including the use of front groups, third party advocates, think tanks and other propaganda channels are recognised and resisted loudly and publicly. Clear and simple messaging is important to influence the widest audience. The treatment of Junior Doctors is inextricably linked to the privatisation agenda. Attempts to separate these issues will squander opportunity to alert the public at large to the major heist that is under way. Advice to uncouple these issues should be rejected. We must campaign for an end to privatisation and restoration of the NHS through renationalisation. We demand a publicly funded and provided universal health service and reinstatement of the Secretary of State for Health’s legal duty to provide a national health service - this duty was removed in the Health and Social Care Act 2012. It will only be possible to protect patient care and improve terms and conditions for staff in a renationalised, publicly run, not for profit system. Anything less will not escape corporate capture through EU-US co-called trade deal – TTIP. If you work for the NHS, speak out about what is going on in your workplace, taking care not to put your career on the line. That said, there will be fewer career opportunities for doctors in the Five-Year Forward View’s deskilled NHS unless you are willing to work for a clerk’s wages using computer packages rather than clinical judgement, providing medico-legal cover for the down-skilled colleagues. Exposing the damage inflicted by frontline services cuts is powerful evidence against the privatisation. Spread the word to your friends, family and, if you work in the NHS, to your patients. Tell trusted journalists in the local and national media. It has never been easier to call, email or tweet journalists with information about what is going on in the NHS. Use every available platform from talking to people on the street to broadcast and social media. The greater the public awareness and understanding about what is happening to their health service the harder the privatisation becomes. Pleading and petitioning of our politicians has failed to stop privatisation. There remain many already engaged in this approach. Both the Conservative Party and the Labour opposition support Stevens’ final solution for the NHS, the control of which currently remains in the firm grip of the corporate raiders. Doctors, nurses, patients, campaigners and everyone they can get to join in must help build a mass movement to expose what is going on and fight for our NHS. Disclaimer: The views and statements expressed above do not necessarily reflect the views or opinions of the Keep Our St Helier Hospital (KOSHH) campaign. Great article, many thanks. What’s been happening is scandalous. I’ll be supporting the picket line at my local hospital on Tuesday. In solidarity. My daughter is a junior doctor and she has been telling us this all along. Now the big papers are coming out against the junior doctors with front page despicable lies. How do we tackle this???? How could anyone not see this coming? I wholly support the NHS and the Junior Doctors in their struggle. I’ve read it all and I am certain that it has either all been in the news which I have always tried to remain aware of or it’s reading between the lines with a common sense approach. IT’s absolutely crystal clear corporate greed – what amazes me is that anyone needs it pointed out to them! I would advise everyone to follow the BBC news every day – it may be depressing much of the time but at least you’re alert and forearmed because you know what’s going on around you and what’s around the corner! This is nothing new therefore it’s not a conspiracy – it’s merely a continuation of the greed and power which drive capitalism. Before I retired from General Practice, it became apparent to me that many of my local colleagues were far more attracted to business than to patient care or medical science. I would be a lone voice in meetings that focused exclusively on money matters and what developed from an initial incessant mantra that “there is a bottomless pit” was far more insidious. My pleading that we were trained to diagnose and treat, irrespective of a budget and that it was not for us to act as tax gatherers or “gatekeepers” for the government fell on deaf ears. Flagrant bribes to reduce prescribing budgets, irrespective of long established principles were accepted and even justified. I am ashamed to say that I stopped attending those meetings and eventually, well before my planned retirement age, I quit. I had, in the space of my career, seen GP raise its profile from a low morale in the 1960s when to be a GP meant you were a failure, through the RCGP, “what sort of doctor” and Vocational Training right through to becoming businesses in which morale is, once again, low. When I joined the NHS in the mid 1960s, it was like being accepted into a prestigious regiment. How things have changed! all for the sake of private greed.